The dawn of Internet of Things technology has sparked a fierce war between Korea’s three major telecom carriers as they seek to become the dominant network provider for IoT-based services. 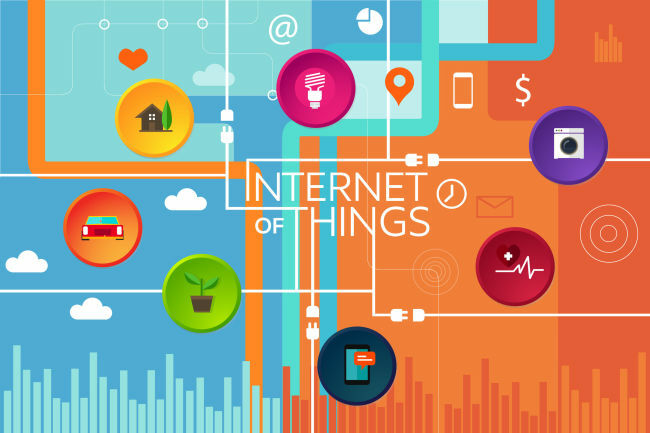 While improvements in information and communications technology have advanced communication between people through objects, the Internet of Things seeks to facilitate communication between objects themselves. According to a July report by the Hyundai Research Institute, the Korean IoT market is expected to grow at 38.5 percent each year until 2020. The market will increase in size from 3.3 trillion won ($3.02 billion) in 2015 to 17.1 trillion won in 2020, the report said. For now, the carriers are focusing on gaining ground. The new push by network carriers is expected to change the overall tide of the Korean IoT industry, which so far has concentrated on hardware rather than network or services, and on products for individual consumers. According to the Ministry of Science, ICT and Future Planning, nearly half of sales related to IoT in 2015 came from hardware sales, while one-third of available services were in consumer services such as smart homes, health care, and child location tracking. The entry barriers to developing IoT products and services have lowered due to networks that allow small amounts of data to be transferred at a much lower cost than existing 3G or LTE networks. In July, SK Telecom became the first of the three major networks to launch an exclusive IoT network covering the whole country. The LoRa (long-range) network, which targets IoT services that require little data such as monthly gas usage meters, is available to users at low prices of 380 won to 2200 won per month. With the LoRa network running alongside the existing LTE-M network -- which was launched in March and sets aside certain bandwidth from existing LTE networks for IoT devices -- SK Telecom is moving quickly to find partners to roll out new IoT products and services. SK currently partners with about 100 companies. “A lot of our partnerships so far focus on safety services, such as automatic gas gauges or manhole maintenance,” the spokesman said. SK plans to launch 20 more new services by the year’s end. Meanwhile, KT is focusing on the Internet of Small Things using the LTE-M network. Recent partnerships, such as those with bicycle-maker Alton Sports and furniture manufacturer Hanssem, are designed to introduce the IoT into daily consumer life. KT also launched a LTE-M-based GiGA IoT Alliance, which includes over 400 companies in Korea and abroad, to create new IoT services. Meanwhile, LG Uplus remains aggressively focused on expanding its smart home services since their launch last year. Its smart home service has approximately 360,000 members who enjoy IoT services in everyday home products such as light switches, outlets, and thermostats. The carrier hopes to expand their services to cover fifty different functions and reach 500,000 households by the end of the year. Recently, LG Uplus signed a memorandum of understanding with development company Taerim Construction to construct 1,000 studios with built-in IoT functions. The Future Planning Ministry has also pledged active support for the IoT Industry through investments such as 5.63 billion won to support small and medium-sized enterprises, and 2 billion won to create a test bed in the city of Goyang to use IoT solutions for community issues such as safety, environmental conservation and energy efficiency.